I do believe the Bible describes UFOs. Even the manna and the wandering in the desert. It all sounded like they were following some sort of flying craft. Aliens are fallen angels and thye are interdimensional rather than ET. They are spirit and aliens and ufo’s are just another demonic manifestation used by them to deceive and confuse people. Remember they are very powerful light beings that can cause brilliant lights and sounds and can cause vivd visions and dreams just like God’s angels did in the Bible. For Christians it is not very hard to see where the pieces fit together. God created 2 intelligent beings. angels which are 100% spirit and man which was created in His own image. Aliens are not man we know. Pluse researchers have discovered that by calling on the name of Jesus anyone can stop an alien abduction or encounter instantly. I read that somewhere too, CareTaker .. now which religion was it .. Christian, of course, but which ‘sect’ .. or section? And the planet is only 4000 years old .. hmm .. that means the pyramids are illusions too .. Fallen angels are bound to this planet, so no, they are not aliens. 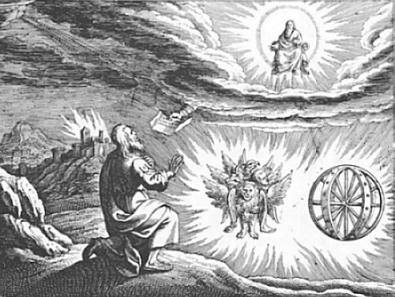 According to Swedenborg the Michael angels, soldiers of heaven, have wrapped a shield around the planet to keep the fallen out of heaven. Good idea. They are enough of a problem here on earth. Angels are ‘light’ beings, and the fallen are their opposite, which makes them ‘dark’ beings. I have never read anywhere of any of them making big lights, or the sorts of space ships people describe during their alien abductions. Personally, I think all the inhabits of God’s universe, apart from demons and elementals, have human DNA, which is why we can all cross breed – something also reported of alien abductions. I think we are all ‘humans’, created by God, and raised on other planets under differing environments that change our size, shape, skin colour, weight, height, density, eyes, hair, and anything else you can think of. JK, I agree with you .. God created two streams of beings, the angels, and humanity. Could you please quote me some webpages on aliens running away from Jesus .. doesn’t surprise me though. I bet He (Christ energy) visited with them too. I wonder if they are all as confused as humans have become? Which researchers are you alluding to? Fanatical blind christians?